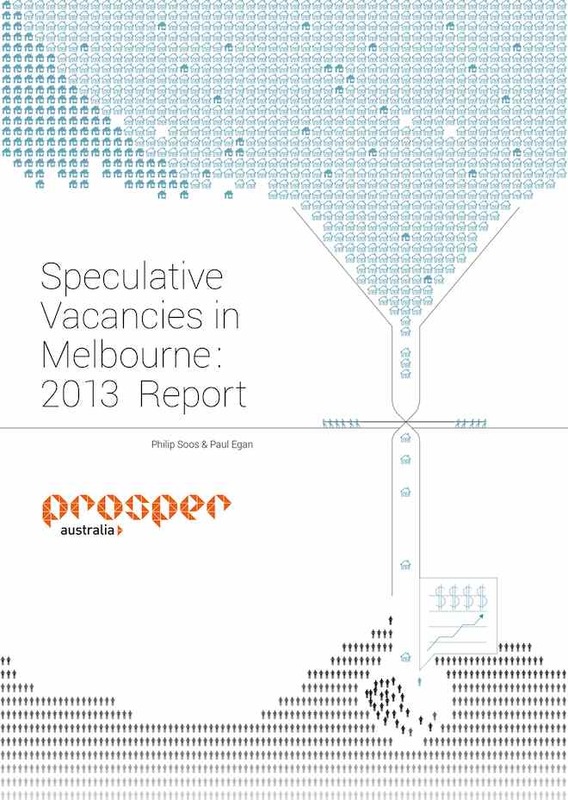 This Speculative Vacancies report has sought to measure the number of residential and commercial properties in Melbourne that are vacant and held out of use. Residential rents surged between 2007 and 2010, imposing financial stress on many tenants. Increasing the stock of properties occupied would moderate rents and/or reduce selling prices. Speculative vacancies may not be reflected in reported vacancy rates. Water consumption data supplied by Melbourne’s retailers, City West Water, South East Water and Yarra Valley Water, are used as a proxy to determine vacancies. A conservative cut-off point of 50 litres per day (LpD) per property, averaged over the calendar year of 2012, was chosen as an indicator of vacancy. Residential per capita consumption averaged 161LpD in 2012/13, with average household consumption estimated at approximately 419LpD. Analysis of 1,469,514 residential properties indicates 64,465 properties (4.4%) were potentially unused over the study period, having consumed less than 50LpD, and 12,691 residential properties (0.9%) did not consume any water and were demonstrably unoccupied. A substantial proportion of commercial properties were also likely vacant, as 28,391 (22.7%) out of 125,162 consumed less than 50LpD, and 5,560 (4.4%) consumed no water. If residential properties consuming no water were placed onto the market for rent, it would double the number of homes available and increase the vacancy rate to around 6 per cent. One way to explain why these properties remain vacant is the escalation in land values as housing prices in Melbourne rose by 146%, adjusted for inflation and quality, between 1996 and 2013. Landlords have an incentive to withhold properties from the rental market as they profit from rising capital values rather than from long-term rental income. A substantial land value tax would blunt capital appreciation and serve as a withholding cost, shifting the incentive to profit from rental income rather than capital gain. Policymakers could benefit by examining why many residential and commercial properties are kept vacant, especially during a period of prolonged rental price increases and financial stress.